After at least 65 people were killed a month ago on June 15 in the predominantly Christian town of Mpeketoni, 40km inland from Kenya’s mainly Muslim coastal strip, attacks in the area have continued. Now residents are sleeping in a nearby prison because they are scared to stay at home. 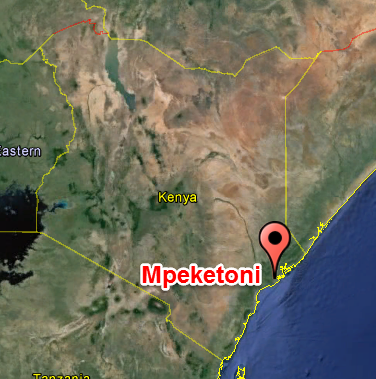 On July 5th, in a Hindi village, 20 km from Mpeketoni, up to 20 attackers killed at least 13 people with guns and knives. Among those killed was Kenya Kazungu, who was found with a Bible on his back in a pool of blood, according to eyewitnesses. Another victim was reported to be Ken Mangara, a 12-year-old student at Kibiboni primary school. Two nights after the Hindi attack, on Monday 7th July, assailants arrived at Covenant church, 3km north of Hindi, as a Bible study ended. As participants fled, two men, Joseph Kangethe and Kenda Masha, who instead chose to hide, died when the attackers set fire to the building. A Catholic church building in the village of Gamba, in neighbouring Tana River County, was also razed the same night. This on-going pattern of attacks is particularly terrifying because the Somali Islamist militant extremists Al-Shabaab appear to be claiming responsibility. But Kenyan President Uhuru Kenyatta has also been blaming local leading politicians, including the opposition Governor of the local county, Lamu, whose arrest – on charges of murder, terrorism and eviction of residents – the President ordered after the Mpeketoni attacks. The Kenyan President appears to accuse the Governor Issa Timamy (now released on bail, awaiting trial) not only because he is an opposition politician, but also partly because Timamy is from the local coastal community. The Mpeketoni attacks appeared to be directed at Kenyans from other ethnic groups who settled in the area from their ancestral homes in the surrounding area decades ago, including Kikuyus, Uhuru Kenyatta’s ethnic background. 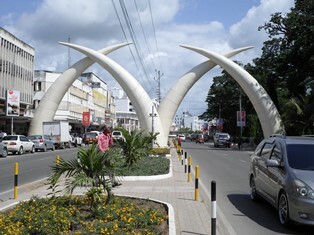 A Deputy Inspector General of Police, Grace Kaindi, has told reporters that preliminary investigations of the latest attacks in Hindi and Gamba point to a separatist group, the Mombasa Republican Council. She showed a message allegedly left by the attackers on a blackboard at a school that called on Muslims to rise up, take back their land and kick out Christians from the coast. The message also suggested the attackers support opposition leader and former Prime Minister Raila Odinga. There have been various reasons given for the sharp rise in insecurity not only in Kenya’s coastal region, but also in other parts of the country like Wajir and Mandera in the north, close to the Somali border, among others. Key among them have been the claims that Al-Shabaab is behind the killings with claims that the Kenyan forces deployed in Somalia as part of the peacekeeping troops (with an aim of stamping out the militant group) are the group’s main target. Al-Shabaab view the Kenyan forces as invading their country. But there are those in Kenya who question this view. “Why is it only Kenya that is being attacked for taking troops to Somalia? Ethiopia and other African countries have their troops in Somalia, but they have not been attacked. We need to find out what Ethiopia and others are doing to avoid these attacks taking place in their countries,” says Sheikh Juma Ngao, the National Chairman, Kenya Muslims’ National Advisory Council (KEMNAC). When the Mpeketoni attacks took place in Kenya for the first time on June 15, 2014, there were claims that Al-Shabaab had sent a tweet stating that they were behind the killings. This view was quickly refuted by the President who said that this was a Kenyan political issue. (A man was later arrested and charged with operating the fake Al-Shabaab tweet account that asserted involvement in the killings). While the attacks in Kenya have grabbed international headlines, resulting in travel advisories for overseas tourists, local ethnic rivalries have festered for decades in Lamu and neighbouring Tana River. More than 100 people were killed in 2012 and 2013 in fighting over water and grazing land. Ethnic violence has erupted in the past in Kenya, notably after a contested 2007 election when about 1,200 people were killed in tribal clashes. Now it appears as if an intricate web of overlapping political and religious agendas is thickening in the region, with interlocking and clashing interests over land, religion, ethnicity and politics becoming ever more closely bound up, and ever harder to disentangle. “We need to understand radicalization. The presence of terrorists is here among us. They are threatening all the people in the region no matter which faith you are in. It’s time for the Christian church to understand our neighbours from different faiths and realise we are not living in a vacuum,” says Rt. Rev. Julius R.K. Kalu, the Anglican Bishop of Mombasa. The political temperatures in the country have raised concern among various religious groups in the country. “We the Catholic bishops, compelled by our desire for peace for our nation, fervently ask the political leaders of our country, both of the government and the opposition, to put aside their personal and party interests, in order to address critical issues which are affecting our country,” cites a statement released by Kenya Conference of Catholic Bishops on 25 June. This statement came shortly after another one by church leaders, meeting under the umbrella of the Anglican church, which decried the insecurity situation in the country on 20 June. “We have watched in recent days as politicians who promised and swore that never again would Kenya walk the sad road of ethnic violence of 2007/2008, move around inciting Kenyans against one another and causing unnecessary tensions,” said a joint statement by Christian leaders. These political tensions have been rising due to the calls for the main opposition Coalition for Reforms and Democracy (CORD) calling for the main ruling party Jubilee Alliance to have a conversation on what is going wrong in the Kenyan society. One of the key issues they have raised is insecurity. This has been against the backdrop of growing instability since last year, when there was a series of terrorist attacks including the Westgate Mall in the capital, Nairobi, in September, where 67 people died and many others suffered immense loss. “It grieves to helplessly witness the spate of insecurity undergo a metamorphosis from the awakening of outlawed militia groups, to infiltration of illegal immigrants, to radical religious insurgents and blatant terrorist attacks. The situation has spiralled to affect other key industries in the Country including tourism, trade and international relations,” the church leaders added. “The terrorism advisories by Western countries such as the UK and US are unwarranted as it is curtailing markets,” said Sam Ikwaye of the Kenya Association of Hotelkeepers and Caterers. He further added that the advisories came during the low tourism season; however, there has been a negative impact already. “There are about 4,500 people who are now out of employment. If this trend of the advisories against the coastal area continues up to late July when the tourism season is expected to peak, then there is a possibility that business in the coastal region may not pick up,” Ikwaye reiterated. He noted with concern that “the country appears to be in a campaign mode as the opposition conducts various county tours calling for dialogue. This mode is not positive for encouraging the tourists to come as is evident every five years when the country conducts elections”. Ikwaye however, noted that the various stakeholders in the coastal region are working together towards setting up standard operating security systems that take into consideration new technological advances. The coastal region has seen many religious leaders being killed; there are now concerted efforts by the clerics in the area to dialogue together and speak out on insecurity as a common voice. This is being achieved under umbrella bodies such as the Interfaith Council among others in the region. The clerics are also working at grassroots level towards dealing with issues that affect communities together such as attending burials together when alleged terrorist attacks occur.